I am not much of a camper. 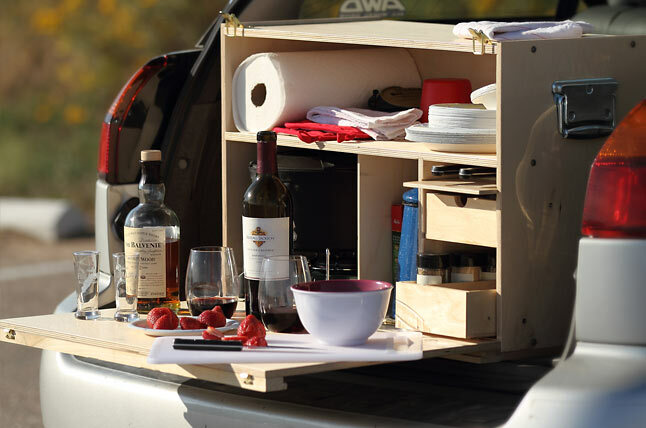 I know there are a lot of similarities between tailgating and camping. I just never embraced the concept of camping like I've embraced all things tailgate. I enjoy nature and the outdoors, its the whole sleeping outside in the elements that doesn't really appeal to me. When I stumbled upon this setup from the Camp Kitchen, I actually got the urge to organize a camping trip, simply based on how darn cool the "Outdoorsman" looks. Of course the bottle of Kendall Jackson they included in the picture, probably had a little something to do with my new-found appreciation for the outdoors. 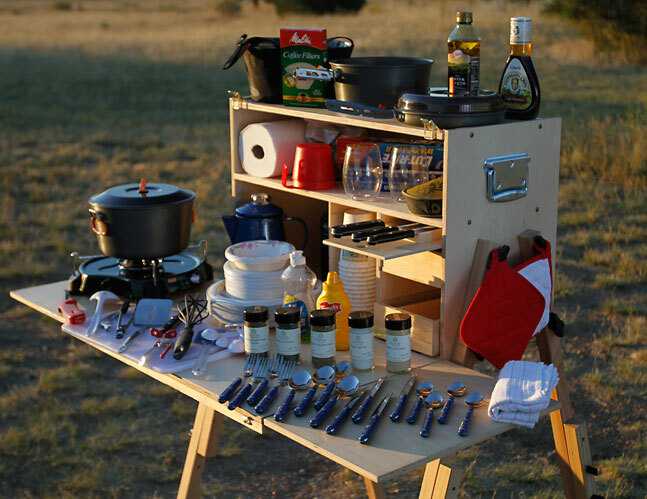 Whether you are an avid tailgater or camper, I think this kit would certainly "elevate" your experience.